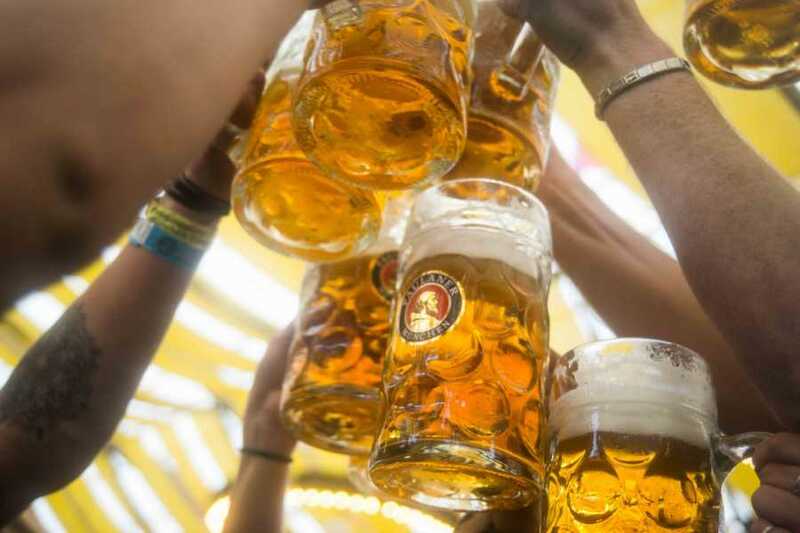 Camping accommodation and transportation package at the largest beer festival in the world. Oktoberfest is a must for your fall semester abroad, so travel with Bus2alps to make sure you don't miss a thing. 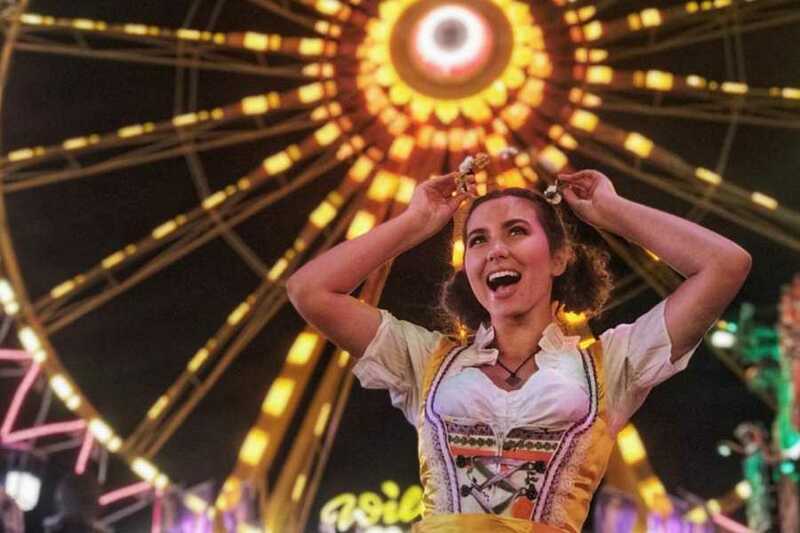 We'll take you to find a lederhosen or dirndl and head to the festival search of liter steins of beer, tables to sing and dance on, mouthwatering traditional Bavarian food and carnival rides spinning into the night! 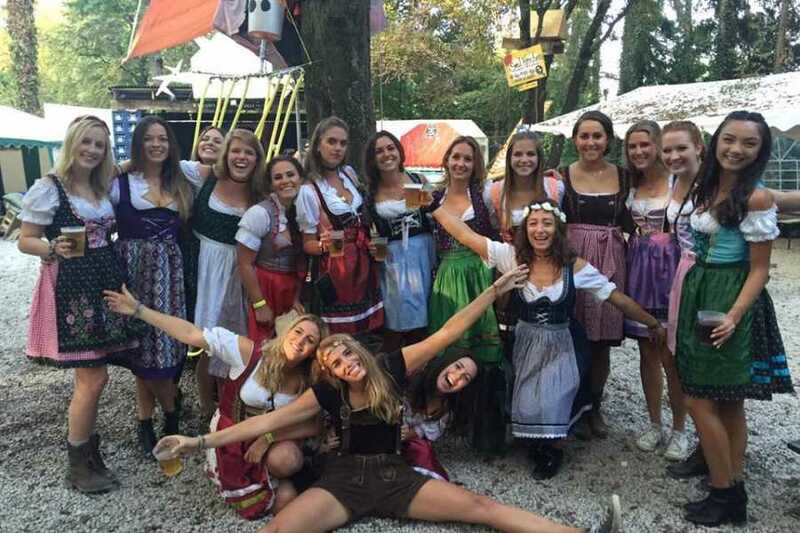 Bus2alps takes you to and from the celebration with accommodation in Munich at a campsite that is the party within a party. 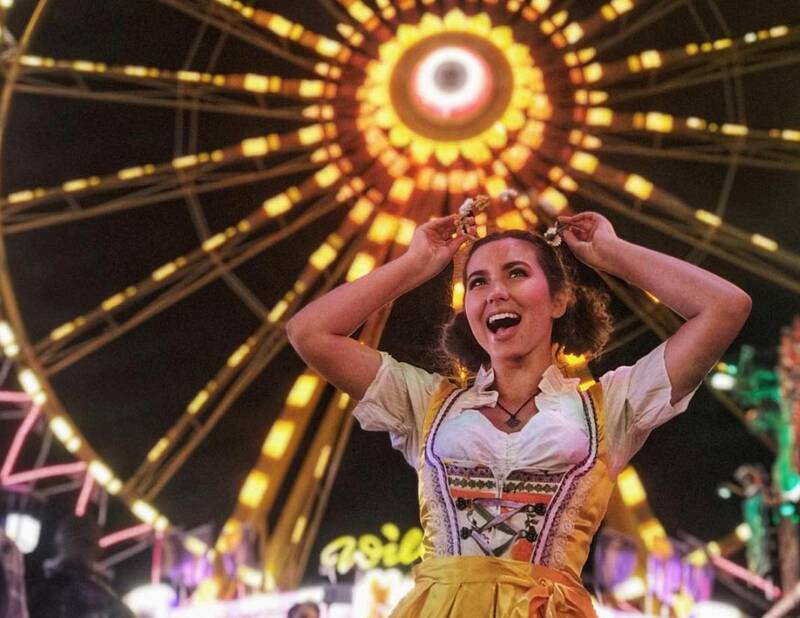 The campsite is an S-Bahn ride from the main festivities of Oktoberfest, and Bus2alps guides will assist you with the easy trip into the Munich city center for the festival. *Note: There will be a Bus2alps designated area in our campsite where you will be able to find a Bus2alps trip leader to answer your questions or assist you with anything you need. SEATS ARE LIMITED AND ARE SOLD FIRST COME FIRST SERVE. *This tour is non-transferable and non-refundable. All sales are final. The trip departs Copenhagen. Please meet your trip leader at least 20 minutes prior to departure. 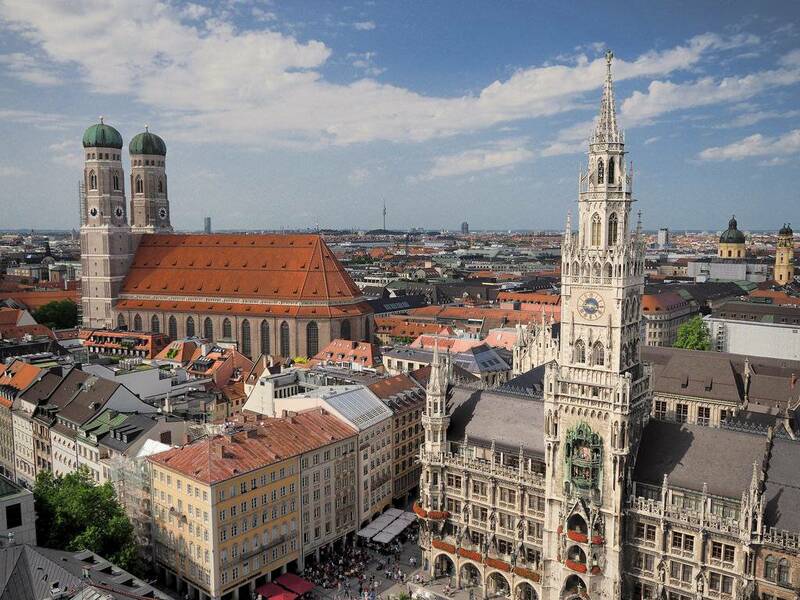 Travel to Munich is overnight by private luxury coach with A/C, DVD, and toilet. We make one 45 minute stop. 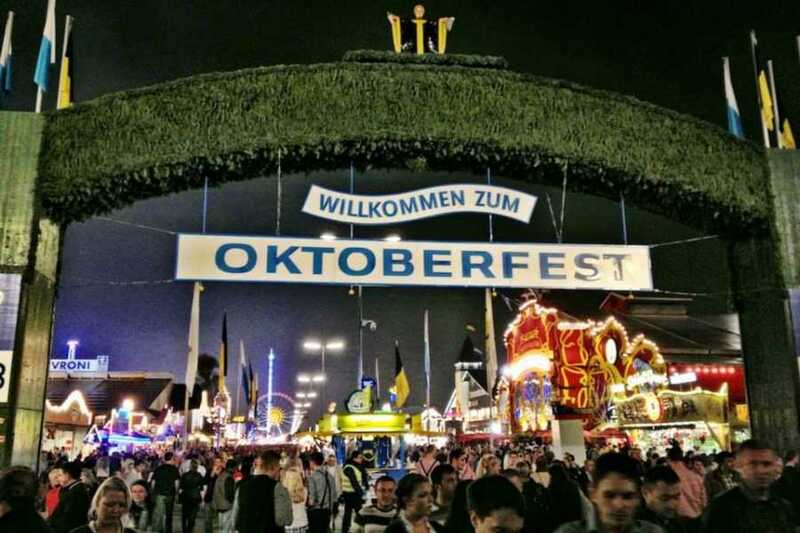 Upon arrival to Munich, we will immediately check into our campsite. Friday morning we arrive to the campsite to check into your tents. 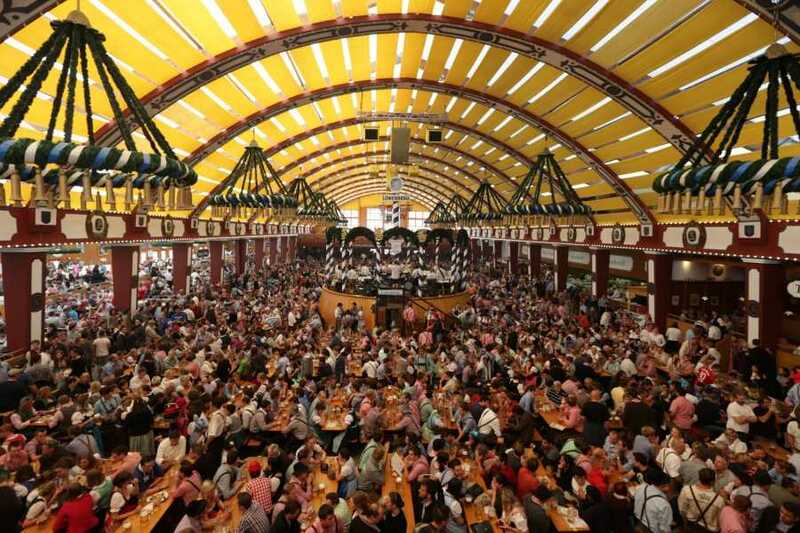 Trip leaders will then be taking groups to the festival* or into the city center to explore Munich. 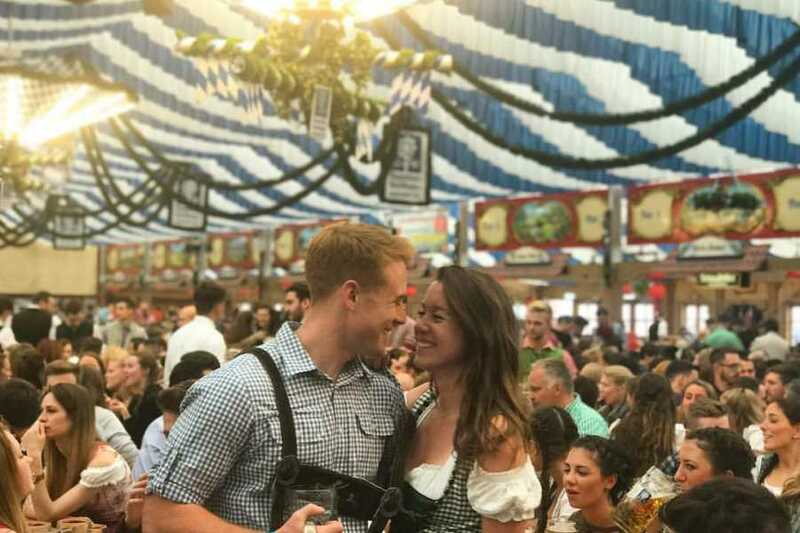 If you are interested in purchasing the traditional dirndl or lederhosen, they will be for sale at the campsite or your trip leaders will let you know where to buy them in town. 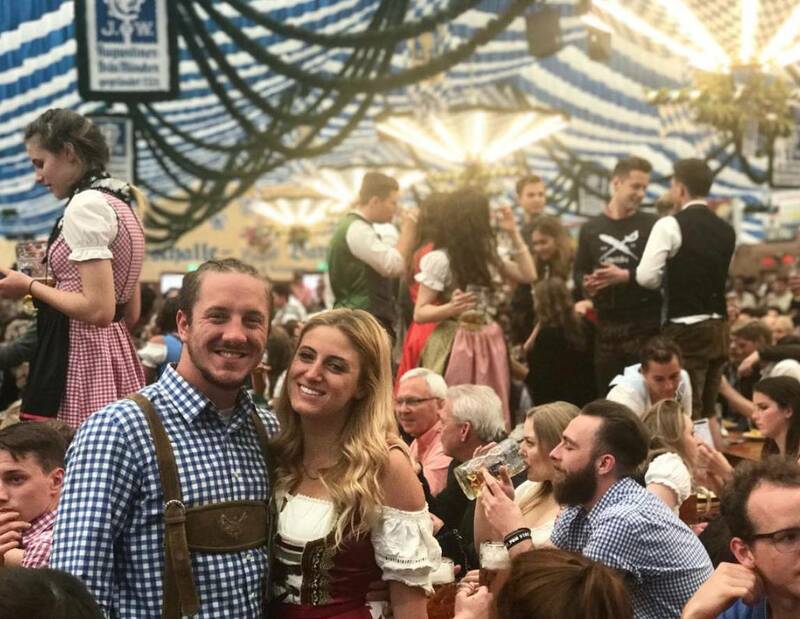 You also have an option to book the famous Munich Bike Tour that will bring you past the main sights in downtown Munich, through the expansive English Gardens, and make a pit stop for sausage and steins! 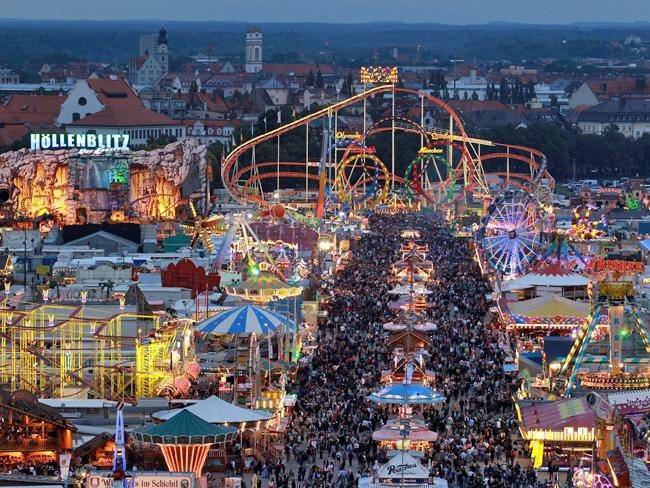 Other places to see while in Munich include the Dachau Concentration Camp, Deutsches Museum, Munich Zoo, Olympic Park, and the BMW Museum. 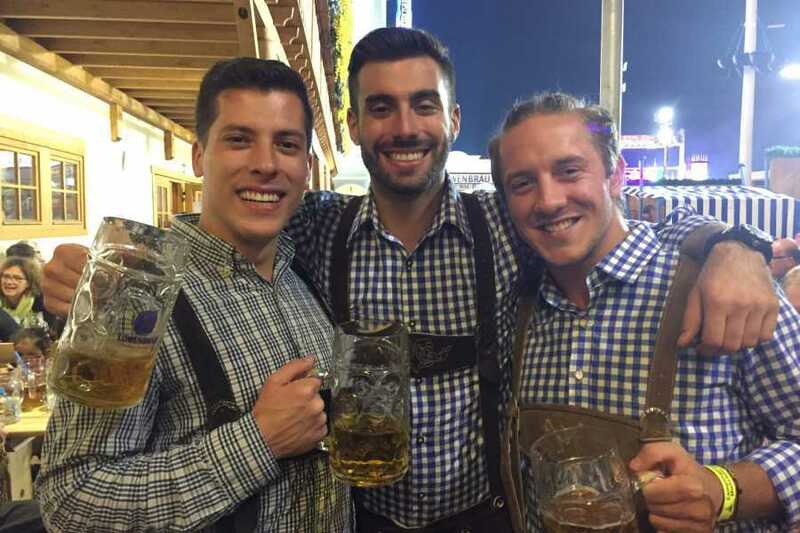 Consult your Bus2alps Trip Leader for how to navigate Munich and visit each site. The night is yours to explore! 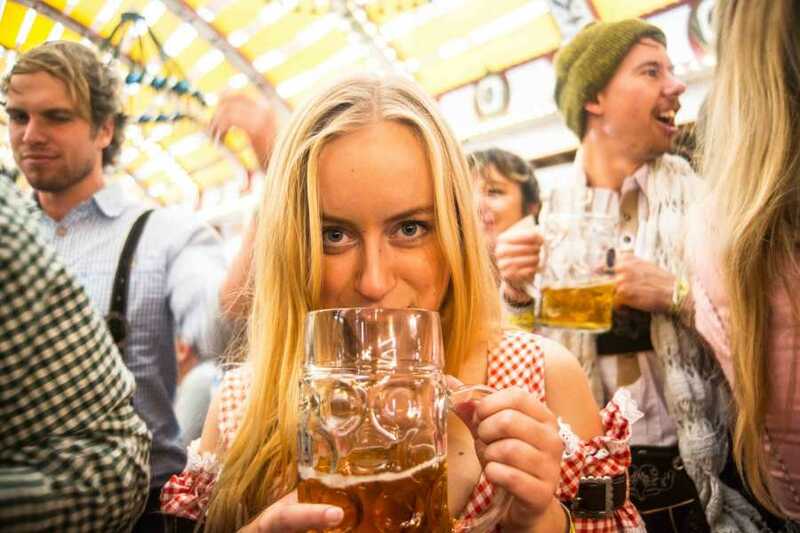 Munich has a diverse nightlife, so if you have the energy, it is worth checking out Munich’s bars and night clubs. 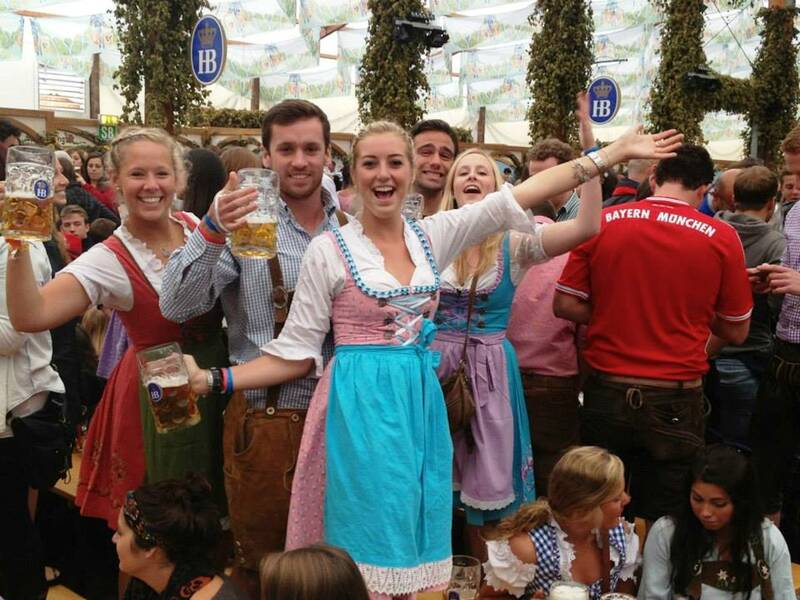 If you prefer, the campsite always has a great after-festival atmosphere and party. 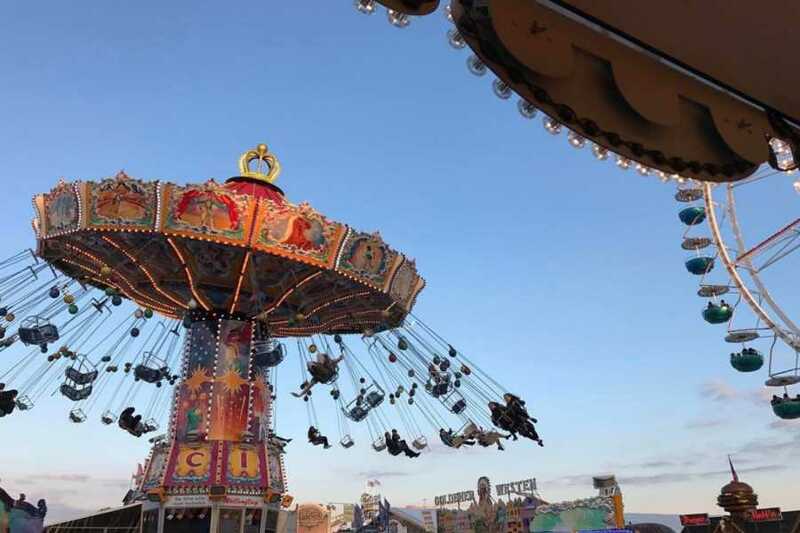 Please keep in mind that we will be heading to the festival early Saturday morning. 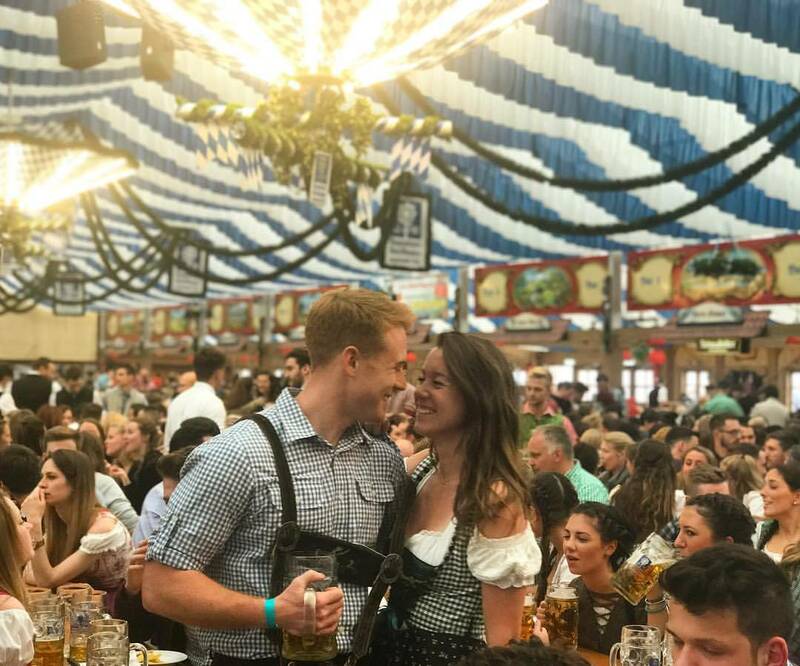 *For the September 20th weekend, the festival begins on Saturday, September 22nd at 12:00 (noon) when the kegs are tapped. If you are interested in a day trip to the Neuschwanstein Castle, Walt Disney’s inspiration for Sleeping Beauty’s Castle, we offer a day trip to the castle on Saturday. 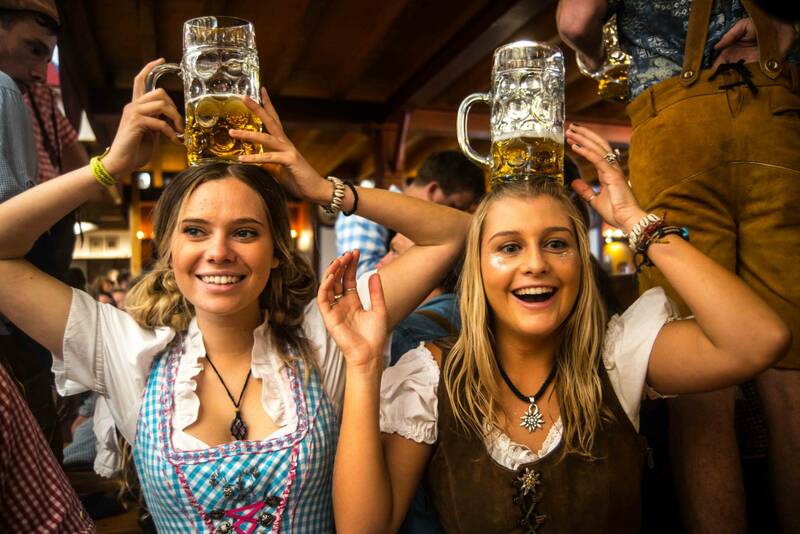 This can be booked online before the trip begins or with your Bus2alps guides while on the trip. 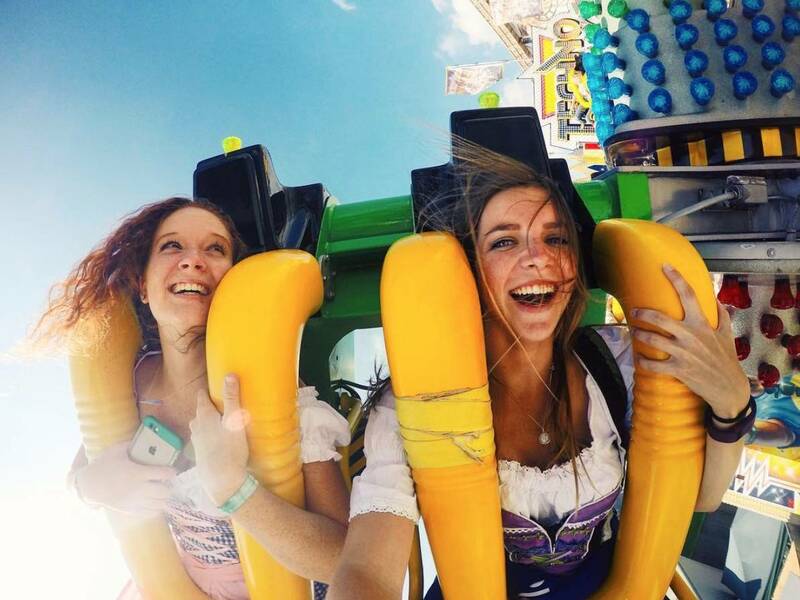 Saturday is the busiest day of Oktoberfest. 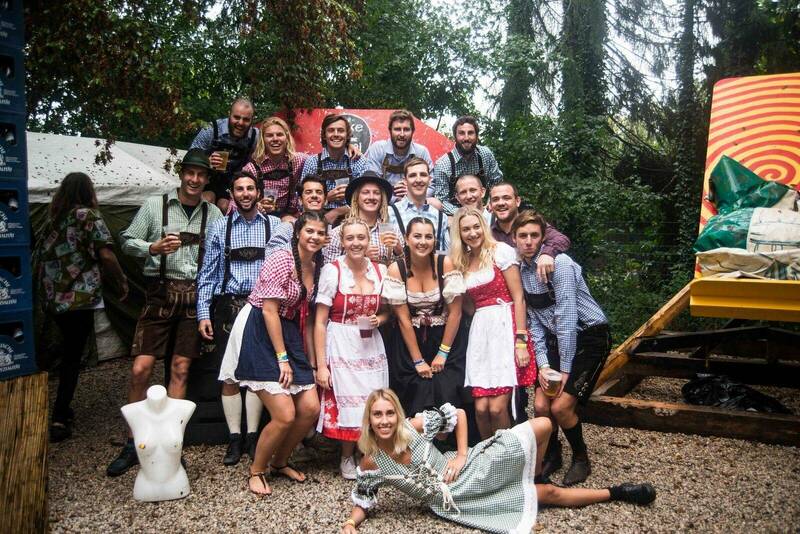 Bus2alps will organize a departure time for you to accompany your guide to the festival as early as 6:30am. 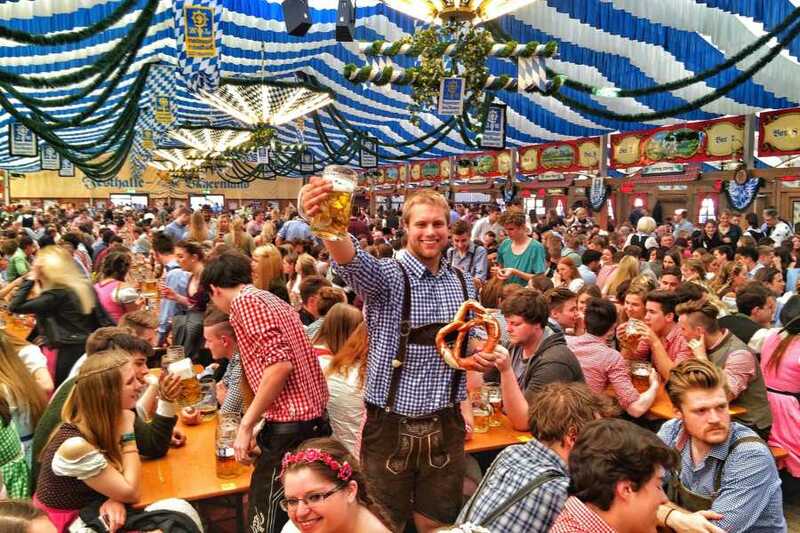 Bus2alps does not make a formal reservation for beer tents. The spots are first come, first serve in the most popular tents so we recommend arriving at the festival grounds early in the morning. 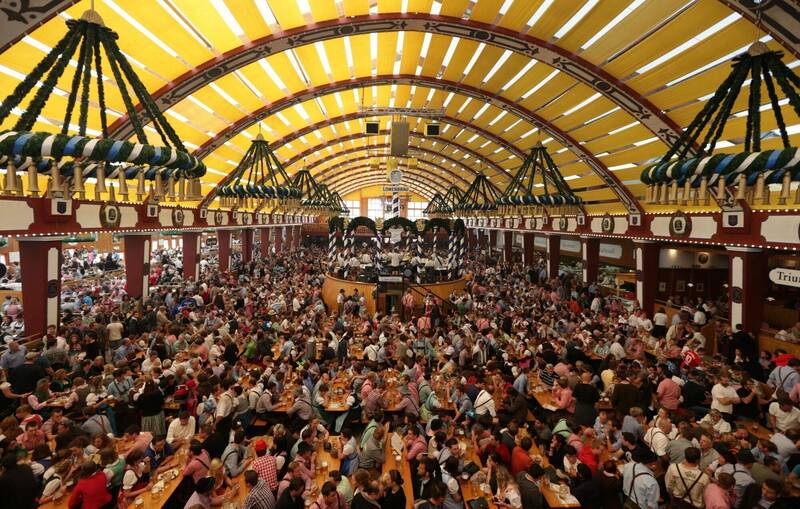 At 9:00am, the doors open and the first beers of the day are served! 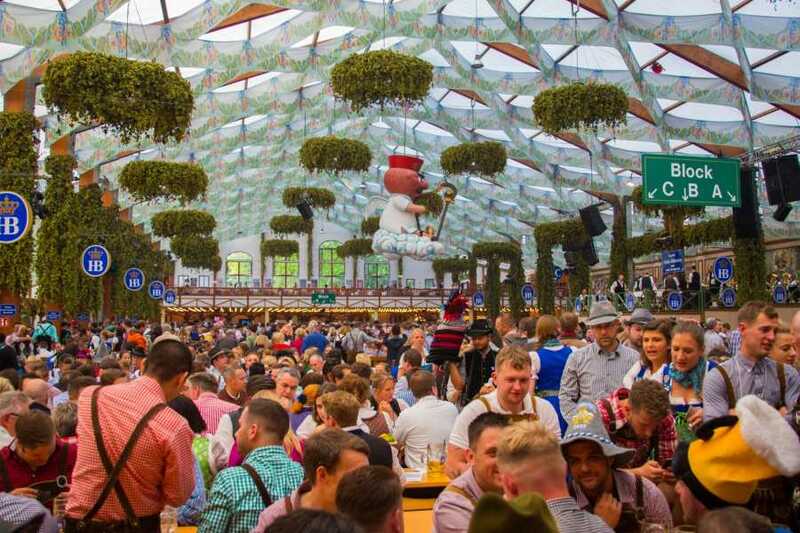 * You will then be taking part in the largest beer festival in the world, surrounded by people from all over the world and singing the traditional songs of Bavaria. 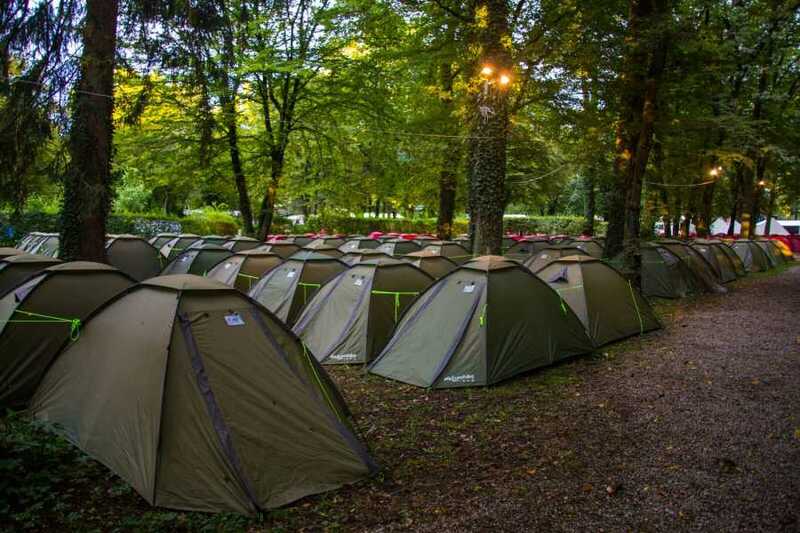 Consult your Bus2alps Trip Leader for which tents are the most popular. 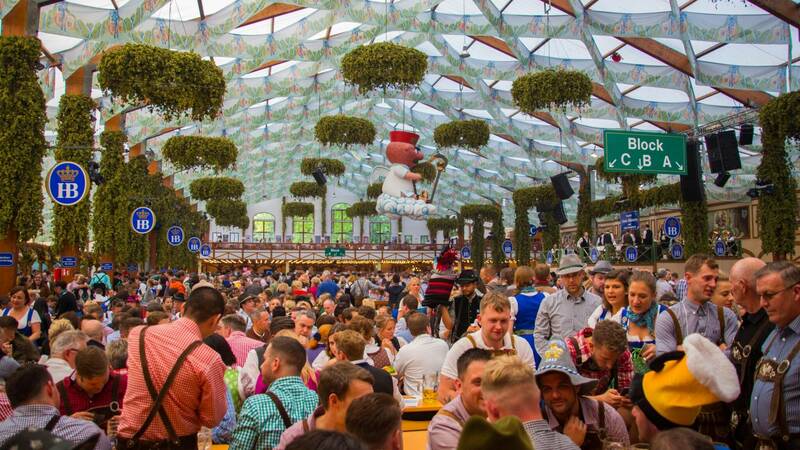 If you arrive late and are not able to enter the tents, it is recommended to grab a spot in the outside beer garden until they start allowing more people to enter the tent. 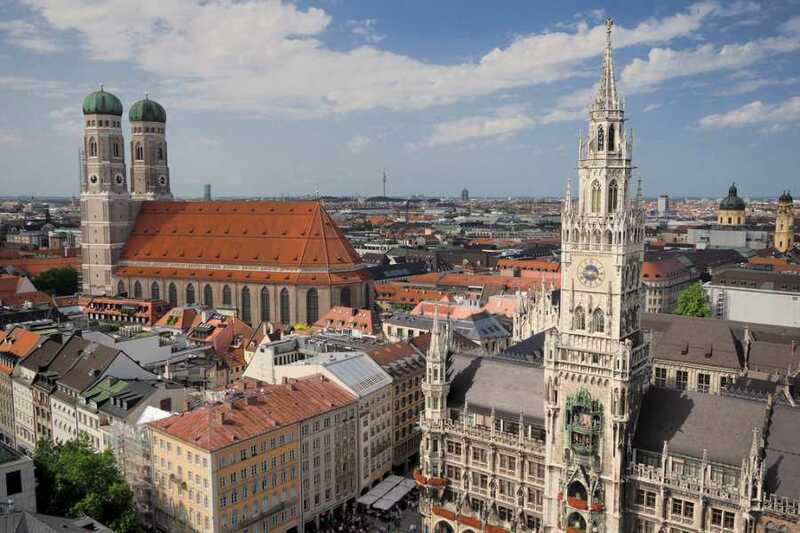 Bus2alps also suggests exploring Munich and going to the Dachau Concentration Camp, Deutsches Museum, BMW Museum, Olympic Park, and Munich Zoo. The night is yours to explore. 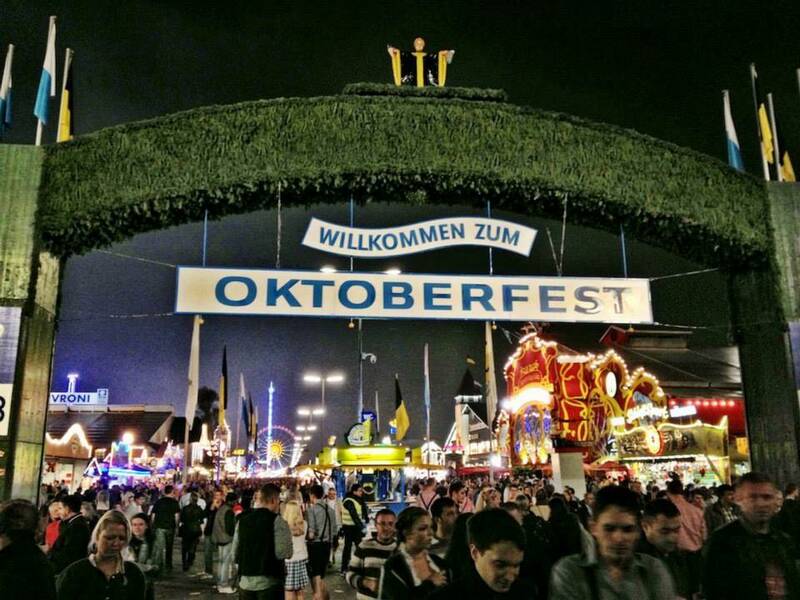 Most of the festival shuts down around 22:00. 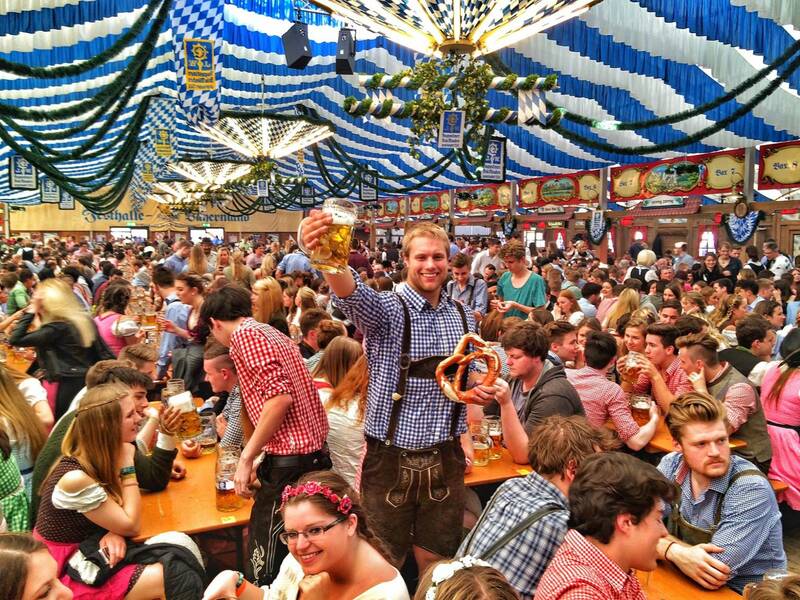 Munich has a diverse nightlife, so if you have the energy, it is worth checking out Munich’s bars and night clubs. 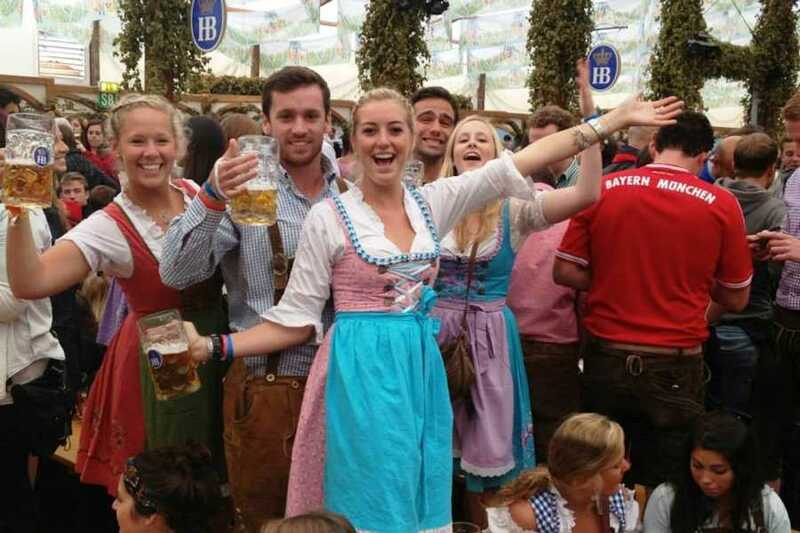 If you prefer, the campsite always has a great after-festival atmosphere and party. Please meet at the Bus2alps designated area for departure back to Copenhagen at the designated time Sunday morning. We make one 45 minute stop for dinner. *Solo Tent upgrade available. Select "Full Package - Solo Tent Upgrade" when adding the trip to your basket to enjoy a tent to yourself for the weekend. *Glamping upgrade also available. Select "Full Package - Glamping Upgrade" when adding the trip to your basket to camp in luxury. 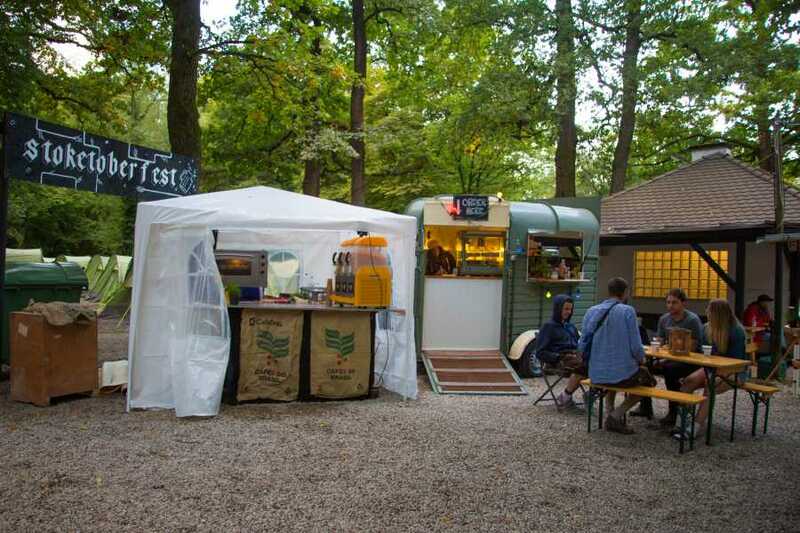 Glamping tents include a roomy tent you can stand in, a bed with an inflatable mattress, pillows & sheets, free Wifi, unlimited coffee & tea, power & lighting, mirror for freshening up, and a festival survival kit. Glamping tents fit groups from 1-4 people. For all members of your group to be in the same tent, all must have purchased the Glamping upgrade individually. You will receive a rooming request form from Bus2alps prior to your trip's departure in order to request your tent-mates. 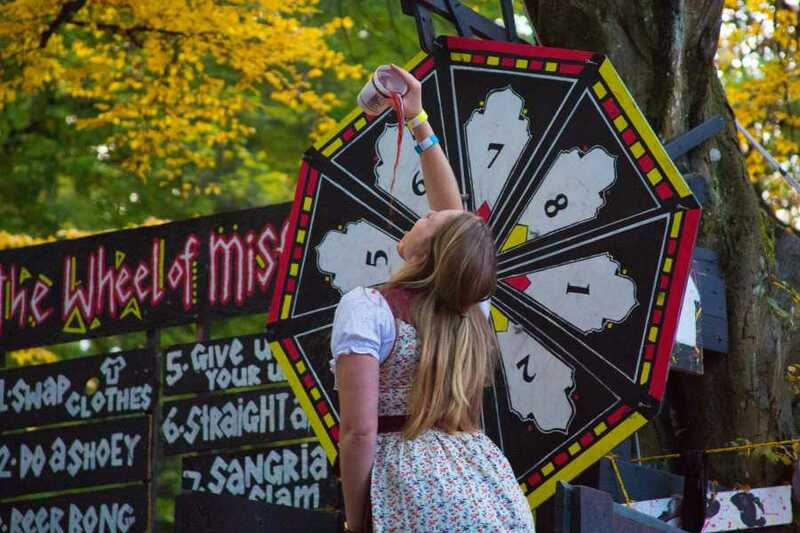 What to Expect: Camping is a fun and unique way to enjoy Oktoberfest; outside in the woods, with your friends, trading stories of your day at the festival with a beer or sangria in hand. 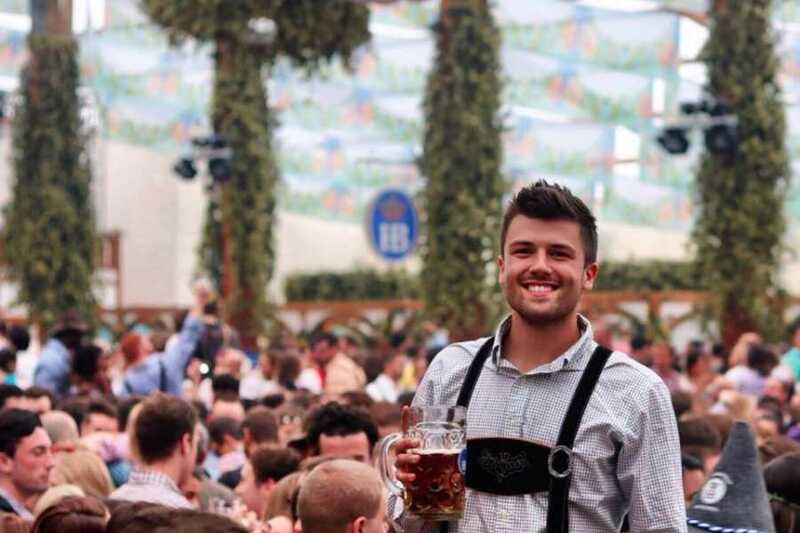 The atmosphere is unparalleled as visitors come together to experience the world’s most famous party. 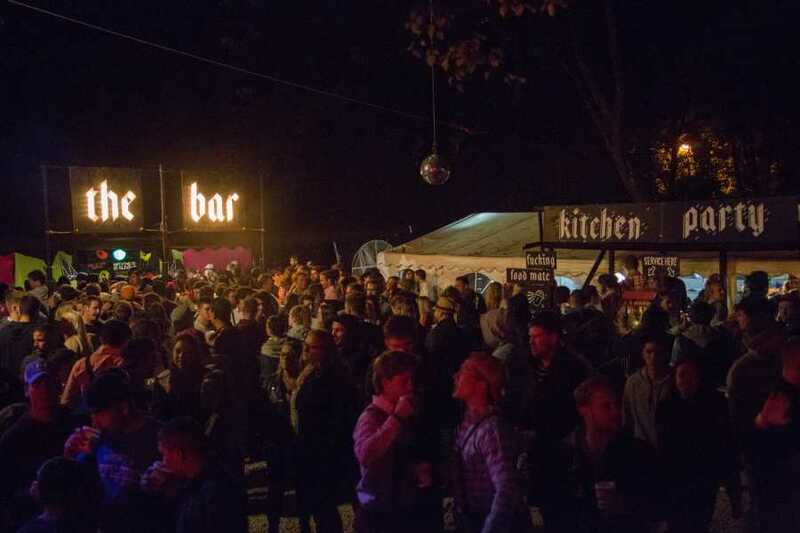 The campsite has a bar on location, warm breakfast every morning, and dinners on Friday and Saturday nights. 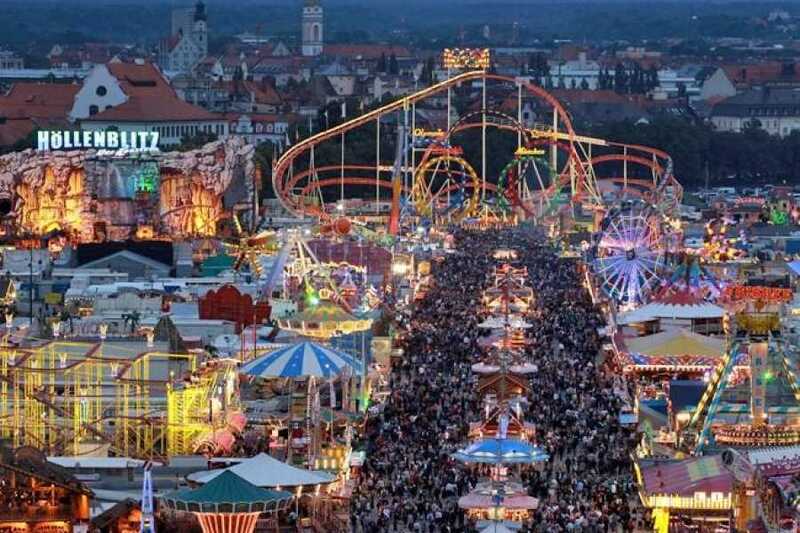 Transport to the festival in the city center from the campsite is by public transportation and a metro ticket will need to be purchased. 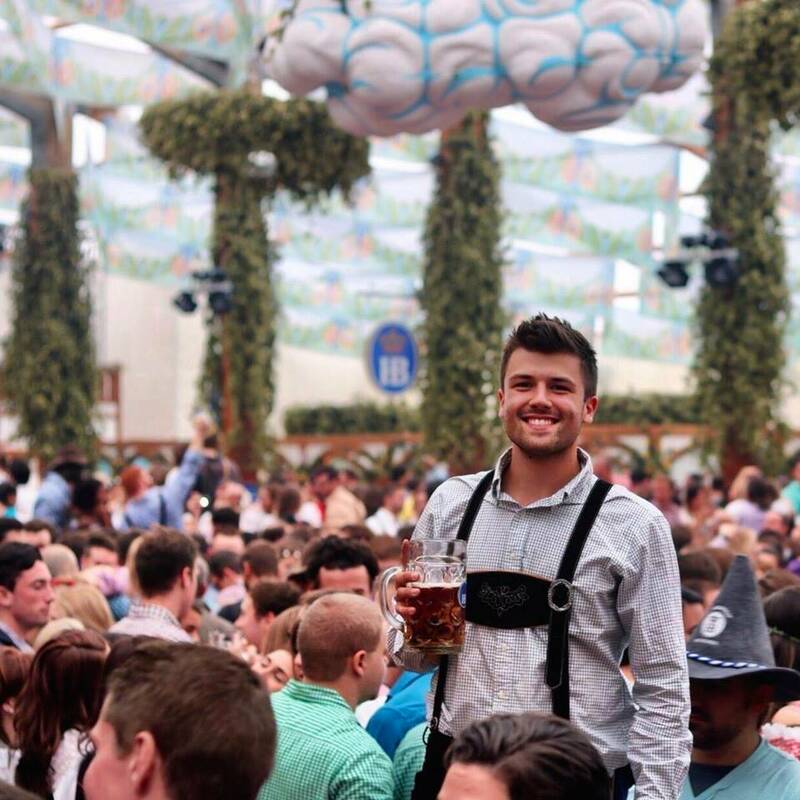 This campsite is the perfect location to enjoy the group experience and mentality of Oktoberfest. 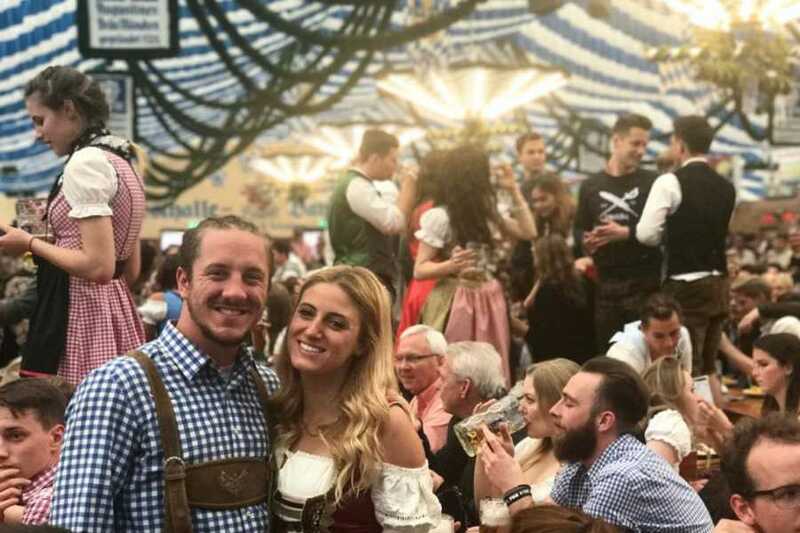 Munich Bike Tour: Hailed by travelers as the best bike tour in Europe, Mike’s Bike Tour is the ideal way to cover all of the major city sights be entertained and learn about the city. Stops on the bike tour include Marienplatz, Hofbrauhaus, English Gardens, Chinese Tower, Surfer’s Bridge, and Bavarian Parliament. Dachau Concentration Camp: Located a 40 minute ride on the train from downtown Munich, this humbling experience brings into perspective the atrocities that occurred during Nazi rule in World War II. Entrance is free to all visitors. Deutsches Museum: This interactive museum is the largest technological museum of its kind and is known for its historic artifacts that mark important steps in the field of science and technology. BMW Museum: The museum’s exhibitions, remodeled every few years, takes visitors into the motoring world of yesterday. Almost every vehicle produced by BMW is represented. The section devoted to the present day includes both BMW’s current models as well as demonstrations of modern production methods. 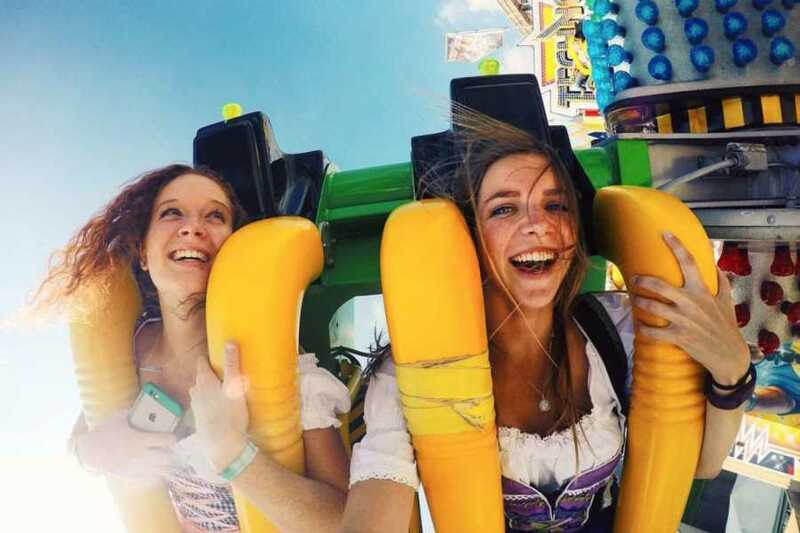 Neuschwanstein Castle Day Trip: Located in the heart of the Bavarian Alps, this beautiful castle became Walt Disney’s inspiration for Sleeping Beauty’s Castle. It is only possible to enter the castle on a guided tour.